Does seem like a fire danger! Maybe if they were near a lake there’d be more encouragement. You need to stay rooted. 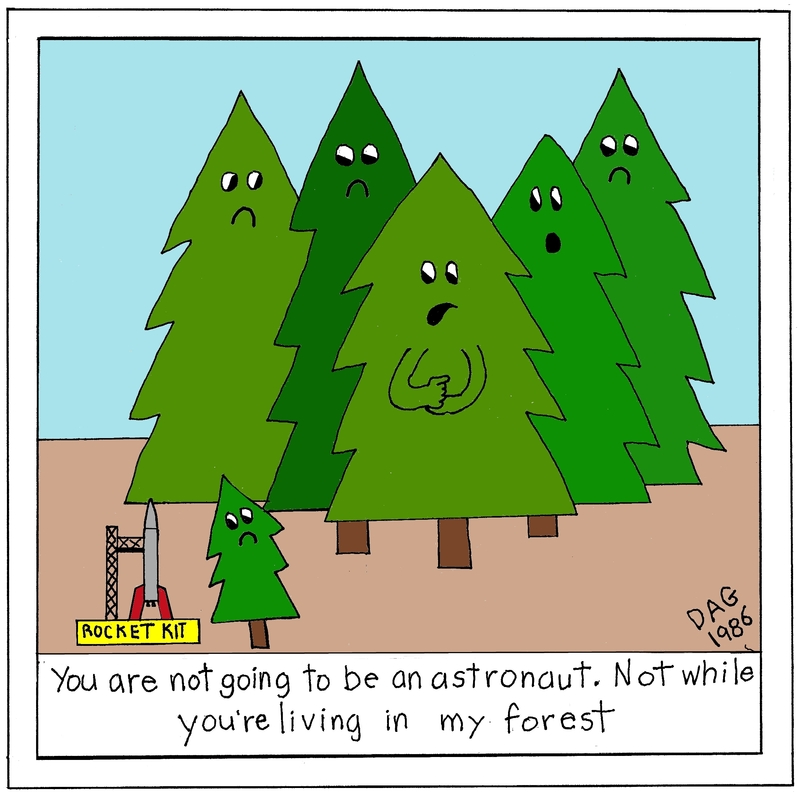 Young trees should be able to “reach for the stars” as well as children and others of any age. But he pines to go into space! Some can’t see the brilliance of the Tree for the forest. Yep, don’t block the sun light. Or star light either.